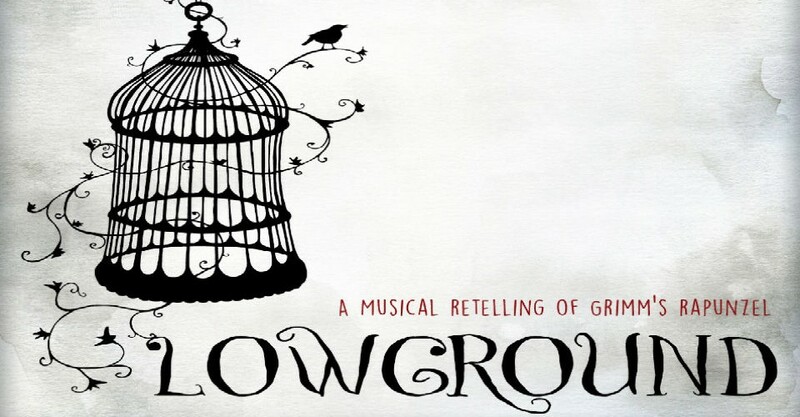 Lowground is an exciting new work presented in an hour of musical theatre that turns Grimm’s Rapunzel into a beautiful, yet dark, folk opera with a medieval sensibility. Written, directed and produced by Adelaide songwriter Casey Thomson, Lowground features Thomson’s finely crafted original score and haunting songs played by a live ensemble of well-known musicians drawn from the baroque classical folk and contemporary music scenes. We speak to Casey, who also performs the role of the Wicked Witch, and ask when the idea of turning her songwriting skills toward musical theatre first came to her. “Yes, I normally write songs for myself to sing, but my family loves musical theatre and I’ve always been a fan,” she begins. “However, I had never thought of taking my songwriting in that direction until I was approached by someone to write a witch’s song for a pantomime. The project never eventuated and I was left with a song I liked and that I had enjoyed writing. So, it started out as a children’s show, but you have turned it into something else? This work has been a long time in the making! In fact, you previously presented it as an Adelaide Fringe show. How has this version developed from previous interpretations? “The 2014 Fringe show was a whirl. I had a core group of six songs, and had decided it was now or never. I needed to do something with the concept; it had already been around for six years, so I took the plunge and it was great. I loved the process and learned so much. We had sold out shows and good feedback, so I was already thinking about where it could go from there. Courtney Robb, who plays Rapunzel, pointed out correctly that we needed a duet, so it was back to the drawing board. That duet took two years to come to life; writing a song with dialogue is challenging and I’m very pleased with it. “Jonathan Crouch, who plays the narrator, stole the first show, so I developed his character, with more dialogue and songs,” Casey says. “At the same time, I recognised and refined other gaps within the songs, the characters and the overall flow of the storyline. These last few months, as we have moved toward production, we’ve seen the show grow yet again because of the suggestions of the whole group. It is very much a collaborative process. Casey has penned all of the songs and script herself, with the exception of a poem of hers that has been set to music by Kacey Guy Stephensen. We ask how this collaboration came about. “The first verse of The Frustrated Prince is taken from a song that I collaborated on with Garth Dutton that I then took in a different direction,” she says. “Courtney and I were analysing the show and she suggested that the poem Jonathan was originally narrating be read by the prince instead. In the context of what was happening around it, it was a great suggestion. You have assembled a very fine musical cast to present these songs, but they are being called upon to act parts as well. How is that going? “There is a new group of musicians playing the score for these performances: Emma Woolcock plays Violin and Cello, Dee Trewartha on Guitar, Kerryn Schofield plays flute and contrabass flute and Shaun Doddy on percussion,” Casey says. “I thought it was important for the musicians to feel fully involved and connected to the show, so we started from scratch and we have developed a version of the show that has a very different musical flavour from the previous one. Casey discusses the set design and costuming in Lowground. “Multi-award winning sculptor Clancy Warner provides a stunning jarrah and bronze sculpture as the major set piece of the show,” she says. “Bianka Kennedy, who has recently graduated in set design and costuming, has been wonderful, not only in helping the show have a great visual coherence but she has stepped up and been a sounding board, advisor and friend in all aspects of the production and we all value her input. You have a short season of four performances at The Bakehouse Theatre. Are there plans to record the songs from Lowground or perform the work beyond Adelaide? Lowground is suitable for all ages and promises to be an enchanting evening for all. Lowground performs at The Bakehouse Theatre, 255 Angus St, at various times, on Thu 3 May until Sat 5 May.